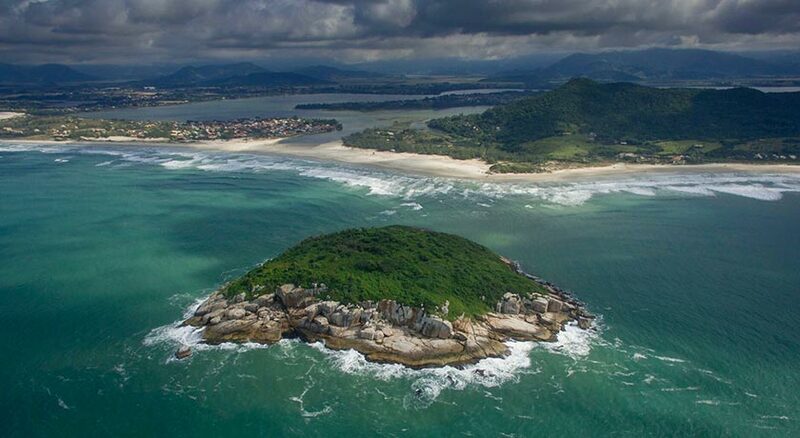 Located 70 km south of Florianópolis - the capital of Santa Catarina - Praia do Rosa (Imbituba / SC) is a bay surrounded by hills, lagoons and islands, where the native forest and crystalline sea create one of the most beautiful stretches of the Brazilian coast. 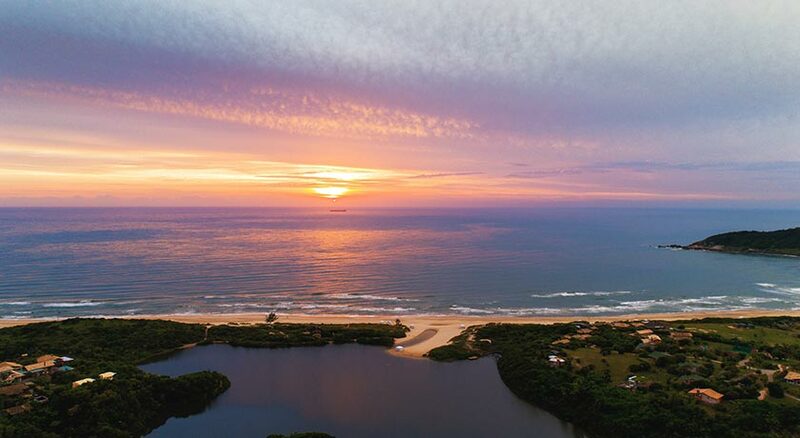 For its natural beauty, for being part of the Southern Right Whale Environmental Protection Area (APA) and for its surrounding Atlantic Rainforest, Rosa is the only Brazilian member of the Most Beautiful Bays of The World Club, an NGO recognized by UNESCO. 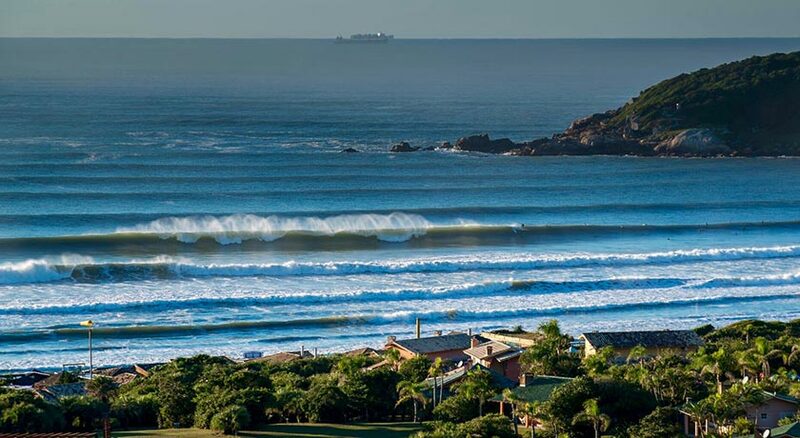 In one side, the perfect waves for surfing and water sports- kite surf, windsurf- and the pleasure of a lagoon to swim. 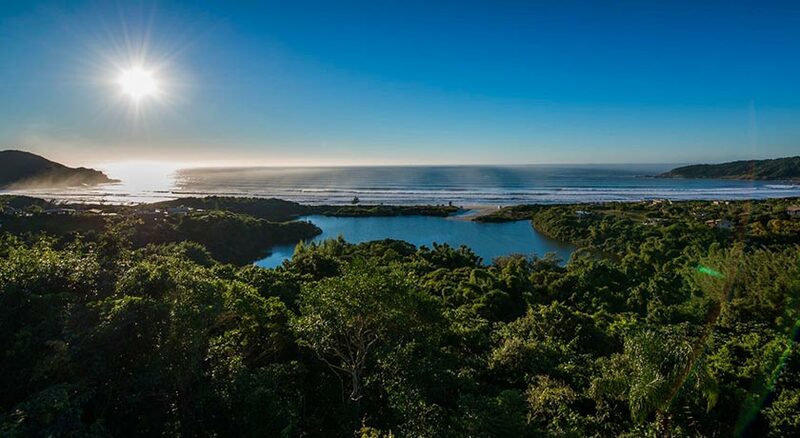 On the other, the exuberant Serra do Mar Mountains that offer horse-riding, trekking and bird watching. Options for every taste. 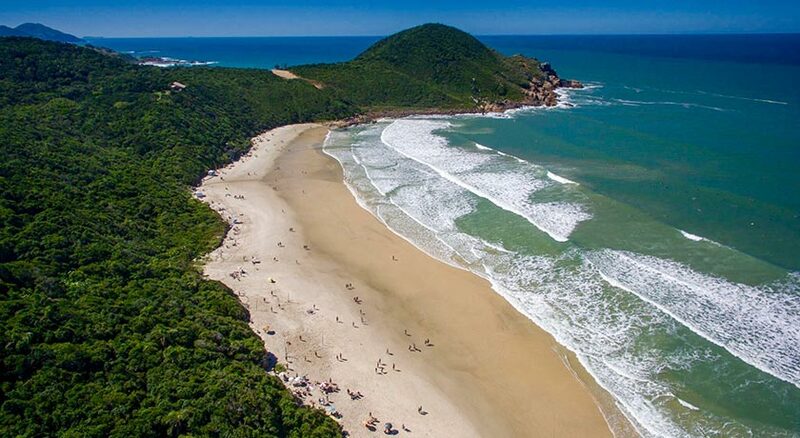 The paradisiacal setting of Praia do Rosa is one of the favorites of the Southern Right Whales. 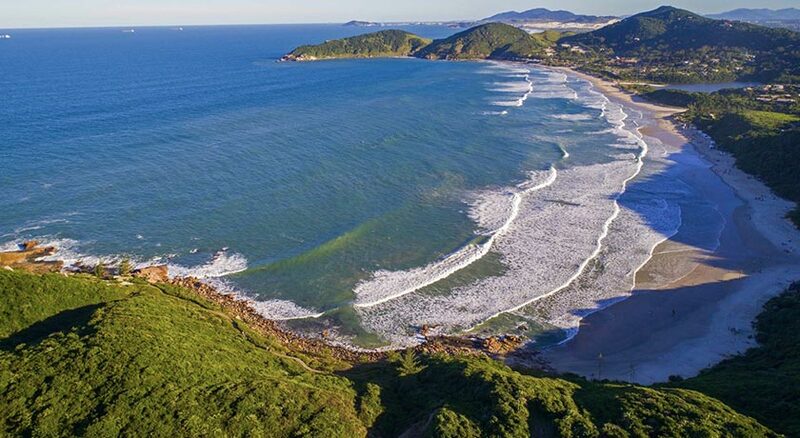 They chose this perfect half-moon-shaped bay to mate and give birth, making our coastal waters a true nursing ground. Coming from Antarctica, attracted by the warmer waters, they create a ballet of rare beauty. This spectacle gave rise to whale watching tourism in the region. Practiced since early 80’s in more than 80 countries, whale watching unites leisure and environmental awareness, establishing itself as an ally for sustainable development.